How does CS compare at Brown.. with Princeton, Berkeley, MIT and Stanford. Apart from Class size.. I wondered what are the pros and cons of choosing Brown's CS program over the other Ivies such as Cornell, Princeton, Harvard, MIT Stanford and even Berkeley. I am aware about the difference in class sizes but what about the syllabus and, research opportunities that the different schools offer and the style of teaching. At the end of the four years.. how is a Brown experience different in terms of CS. 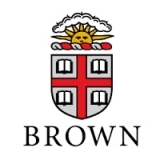 Replies to: How does CS compare at Brown.. with Princeton, Berkeley, MIT and Stanford. Apart from Class size..
Brown's CS program is very well known. Job placement is incredible. You really can't say one school's CS program is better than the other's. Decide on fit.